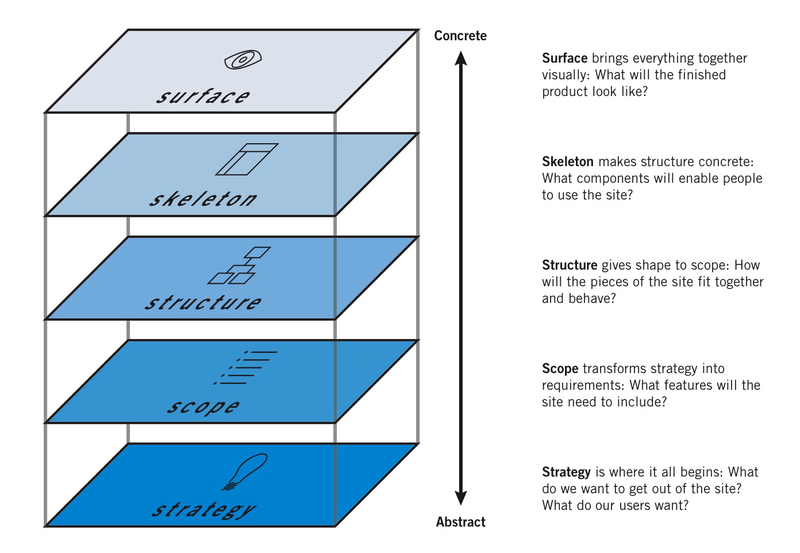 Blog > UX design >Is UX Becoming an Industry Buzzword? Is UX Becoming an Industry Buzzword? "No user experience, no product", "user experience is everything" . I don’t know when the UX is becoming so popular and everyone wants to talk about it. But do they really understand what is user experience? The user experience that designers often talk about is the users really need? Those who claimed that they are the “expert” of user experience are really know about what is user experience? 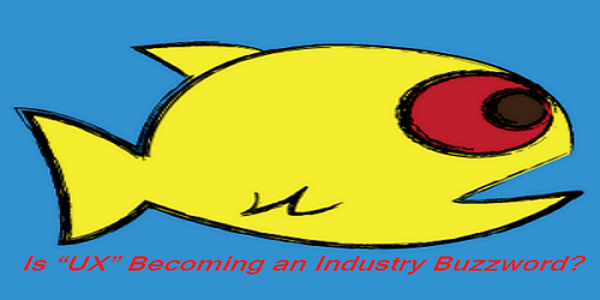 Is "user experience" becoming an industry buzzword ? Why UX is becoming so popluar? UX design was originated in the late 1940s. In that time, the machine was more complex and difficult to operate in people's daily lives and the concept of user experience appears until the 20th century and gradually popularized with the computer. 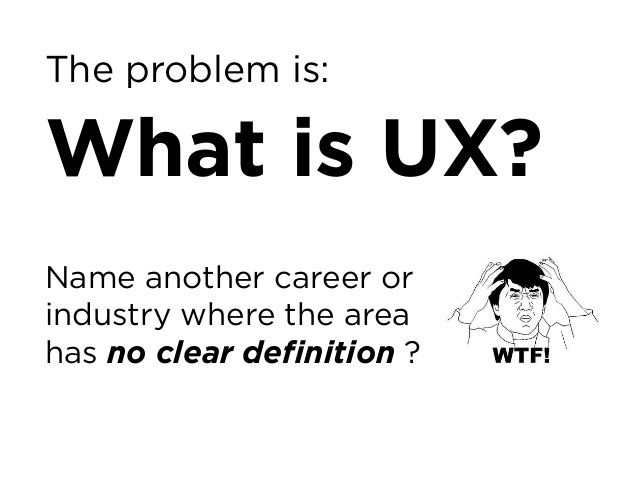 A quick Google search will bring up about a gajillion definition of user experience. Why UX is becoming so popluar? Because more and more companies began to pay attention to it, and they competed to each other in the same market and have developed similar products so that they have to marginalize the products. To be frank, user experience is the best standard to measure of what is a good product. If the users feel uncomfortable with your product and your product is not unique to them, they will replace it with other better product than yours. User experience is life, user experience is about nothing but the user and the user experience is business. What problems will be caused when UX becomes so popular? Of course, UX becomes so popular will bring many benefits. But it also alongs with the problems: Many companies do not know what is UX principles when they recruit the UX designers. They just want to catch the trend of UX, but it turns out what they may need is a graphic designer or UI designer. What's more, a lot of designers are labeling themselves as a UX designer without knowing what is UX and using it as a resume-candy to obtain more job opportunities. They don’t even master the UX skills and abilities and don’t know who is the target user, how to design the user scenario, how to carry out user research, interactive design and so on. Remember the 7 factors of the "UX"
The world does not exist a perfect user experience in any case, the so-called good or bad user experience are based on the project objectives of the scenario. For example, high heels are uncomfortable and make walking more difficult, but it maximally meet the women needs for pursuing of beauty, they will not buy less. UX is now growing rapidly, we hope to give users a really good product instead of talking about it. 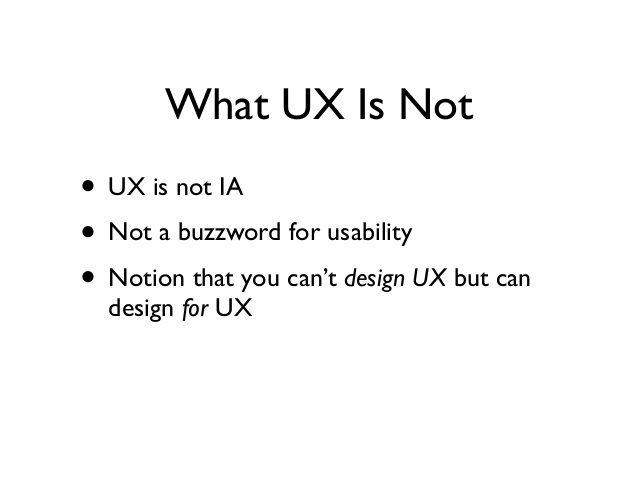 Please do not let UX become an buzzword. Do you have the answers? Your credibility, and even your career, may depend on it.